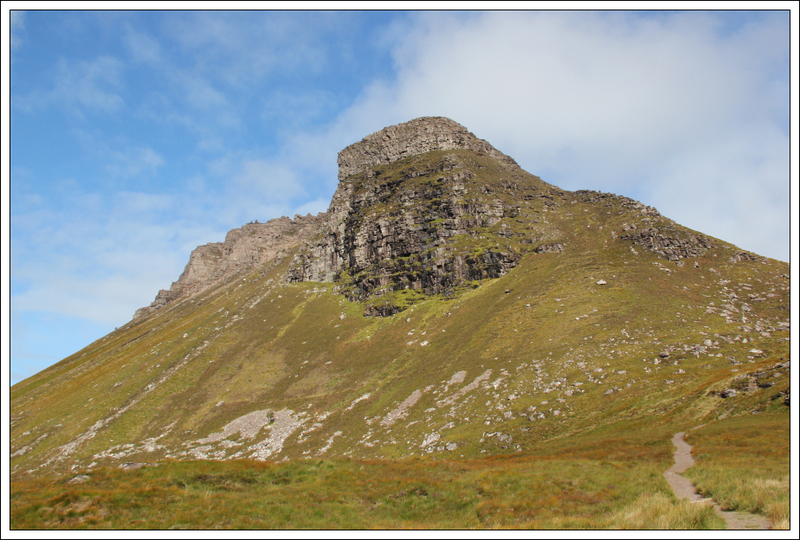 I set out yesterday to ascend Stac Pollaidh with my friend John. 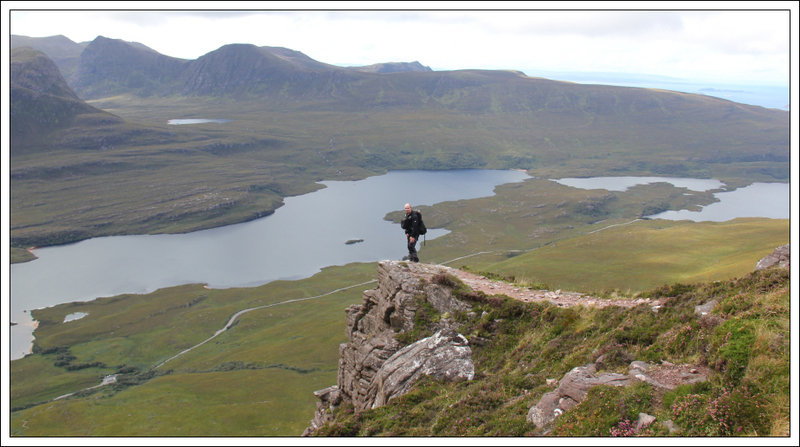 With only 2 out of 224 Grahams remaining John was keen to reach the true summit of Stac Pollaidh, leaving only Beinn Mhor on South Uist to complete his round of Grahams. 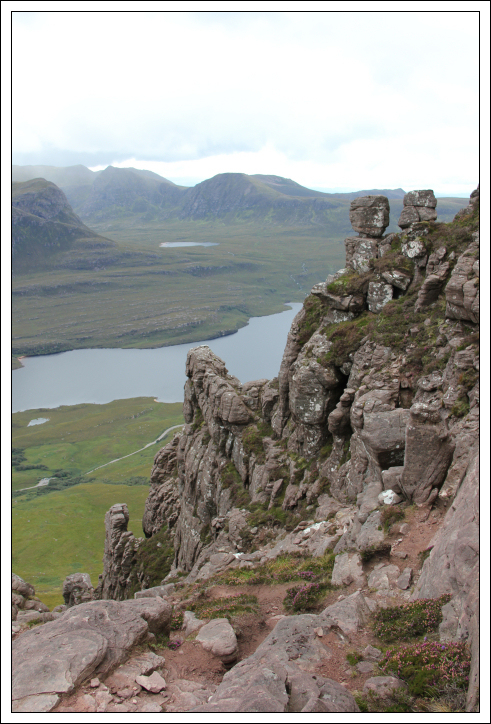 I last ascended Stac Pollaidh in 2011. 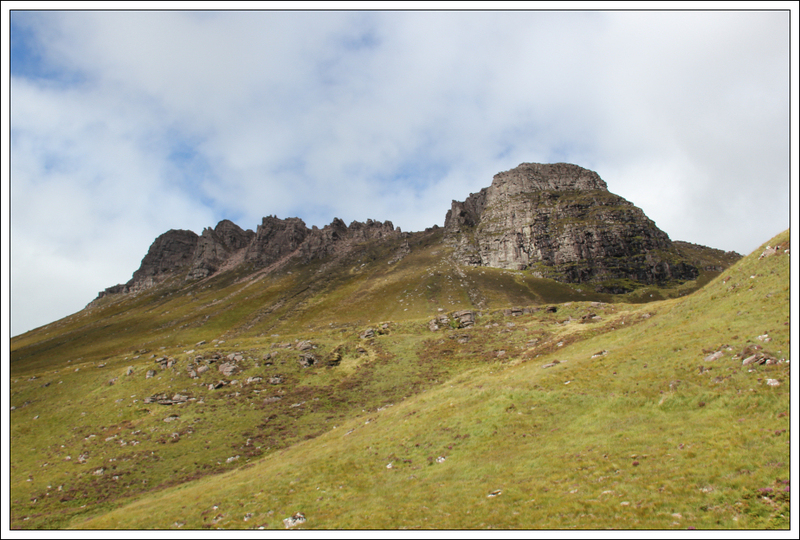 On arriving at the Stac Pollaidh car park we made our way up via the standard route of ascent. 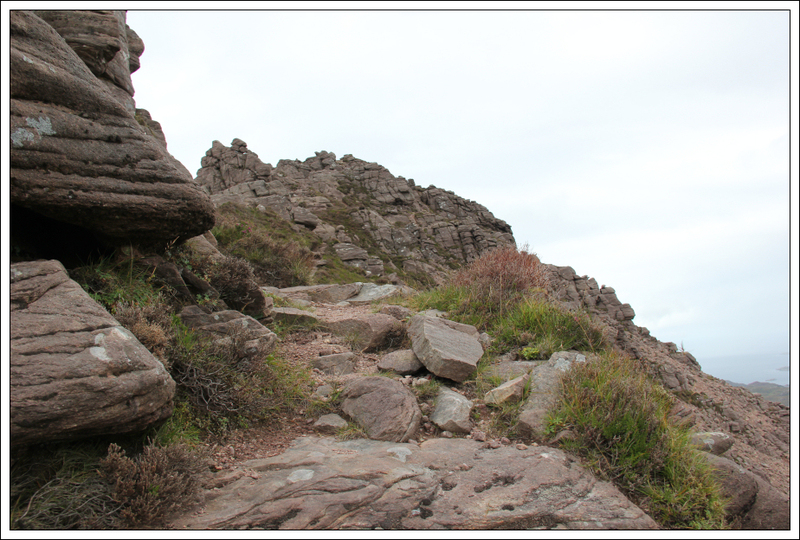 There is a well constructed footpath from the car park leading towards the hill made using numerous rocks and boulders. 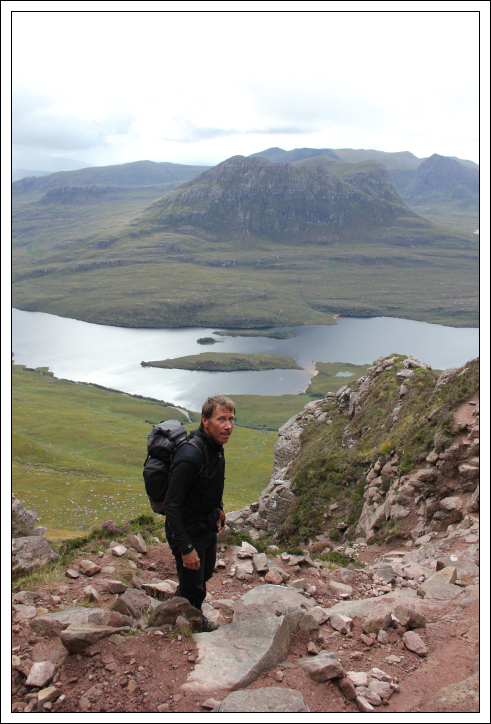 While these paths are excellent at preventing erosion, I find them fairly unpleasant to walk on. 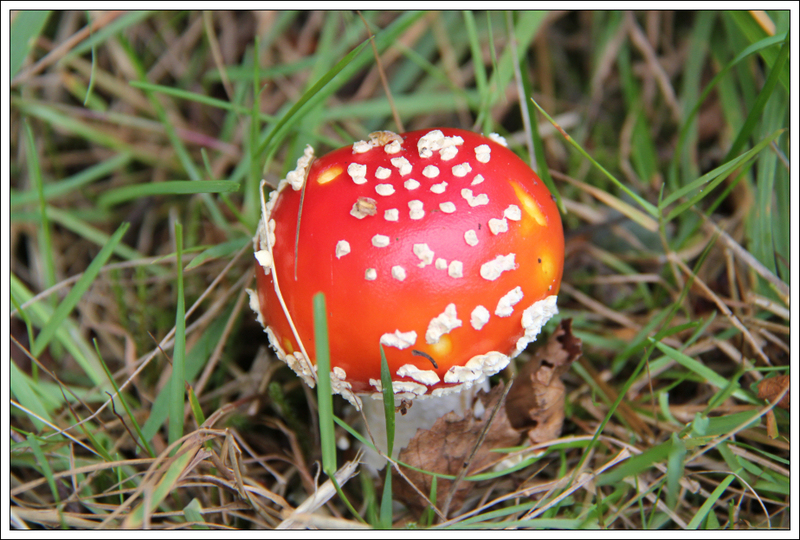 During the walk along the initial section of path, I stopped to photograph a Fly Agaric toadstool and some Devil's Bit Scabious. 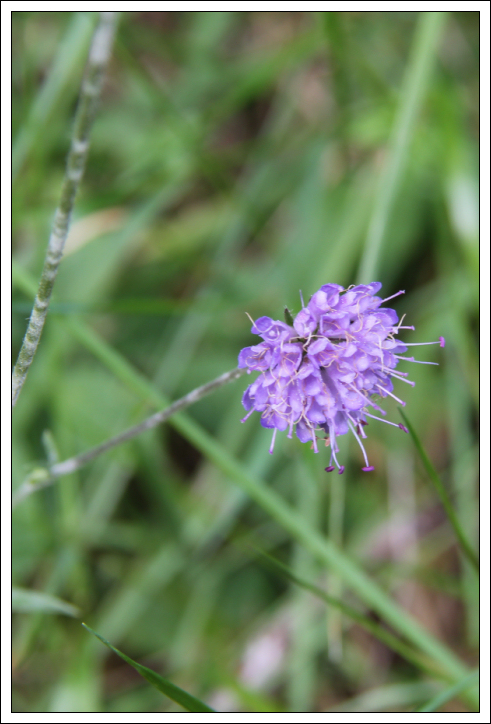 Seeing Devil's Bit Scabious in bloom made me realise that summer was now well and truly over. 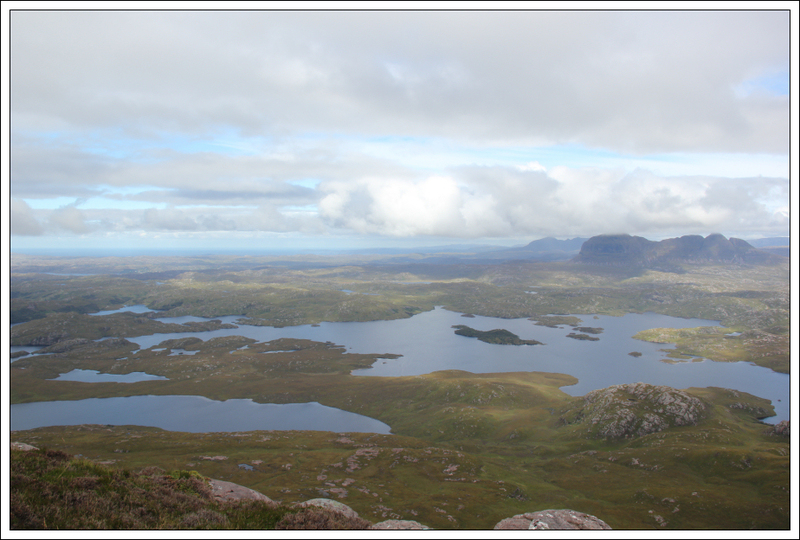 It wasn't long before we were getting great views across Loch Lurgainn to the Coigach hills. 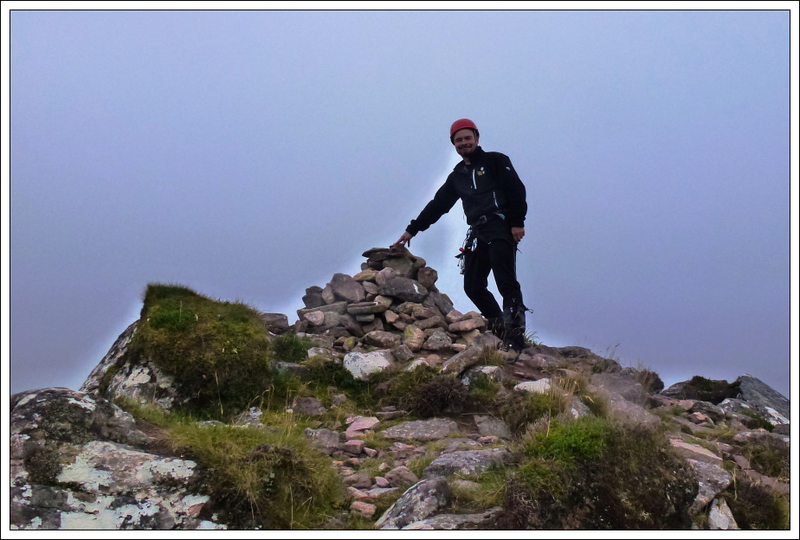 Two weeks ago I was summiting a c.6100m mountain, now I was ascending a c.610m mountain. 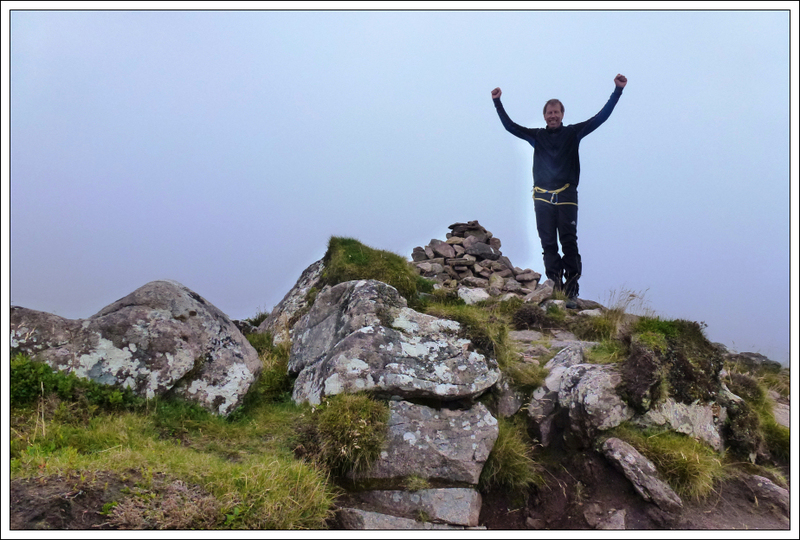 Only one-tenth of the height but a great hill nonetheless. 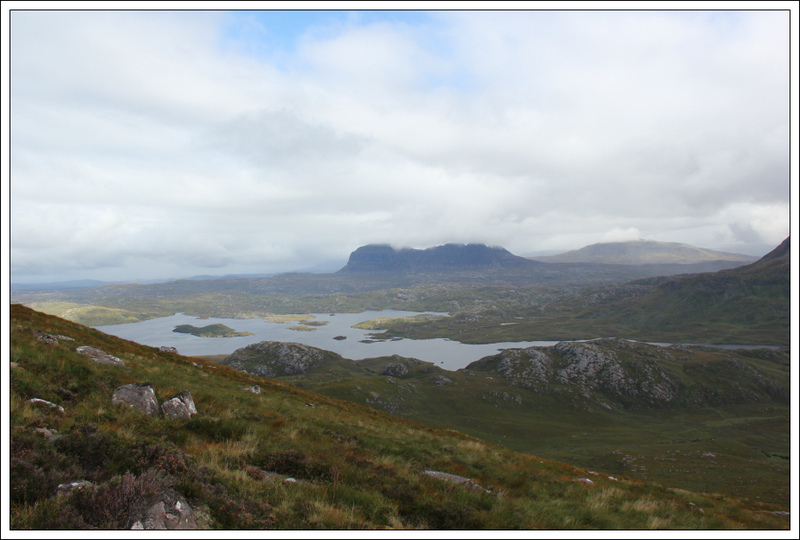 As we made our way towards the easy col we could see many of the Assynt hills. It took only 45 minutes to get from the car park onto the ridge. 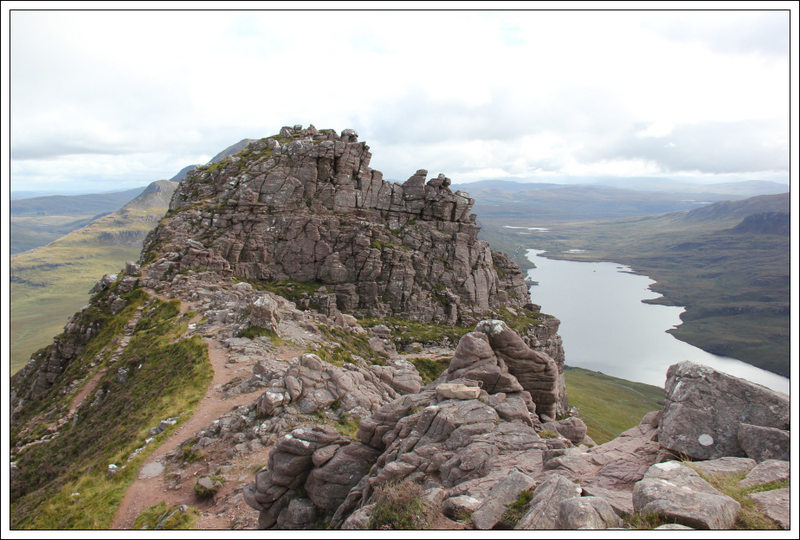 From the easy col, we began our traverse of Stac Pollaidh's ridge. 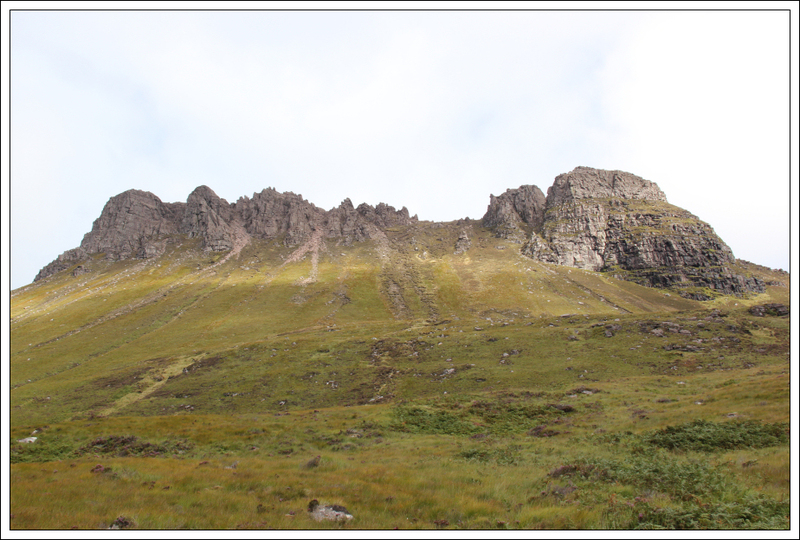 We followed the path to the South of the ridge where there are three gullies leading up onto the crest of the ridge. We ascended the second (middle) gully to reach the crest. 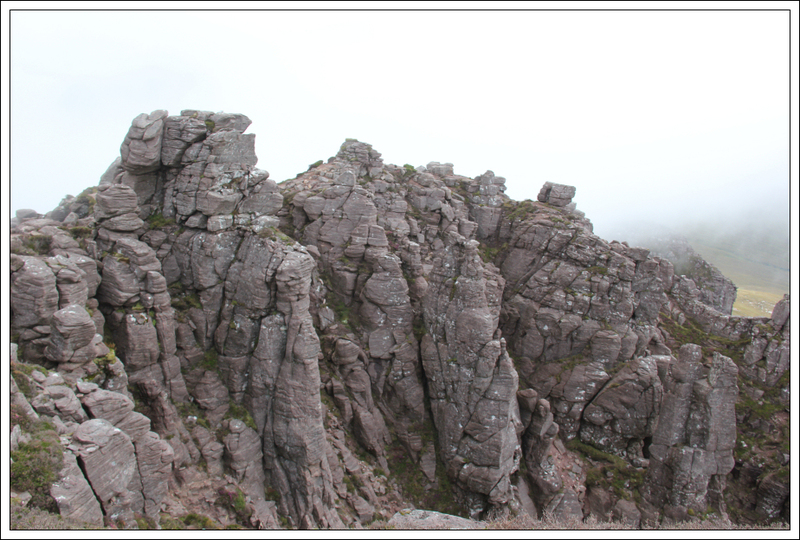 We then dropped down a few metres to continue our traverse along the North-side of the ridge. 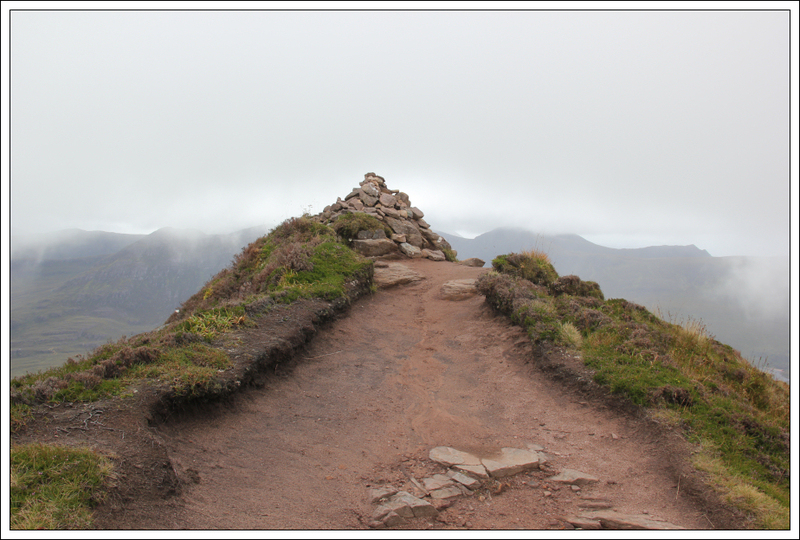 Beyond the gullies, the next section of the ridge is straight-forward. 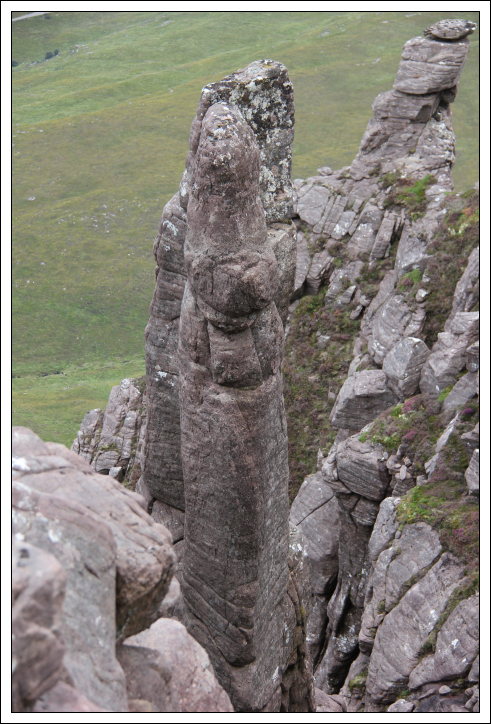 We stopped a couple of times during the traverse to take photos of the pinnacles. En-route to the false summit there is an awkward large boulder to get around. There are few positive handholds and a feeling of being off-balance while edging past it. Just beyond this boulder is the false summit. 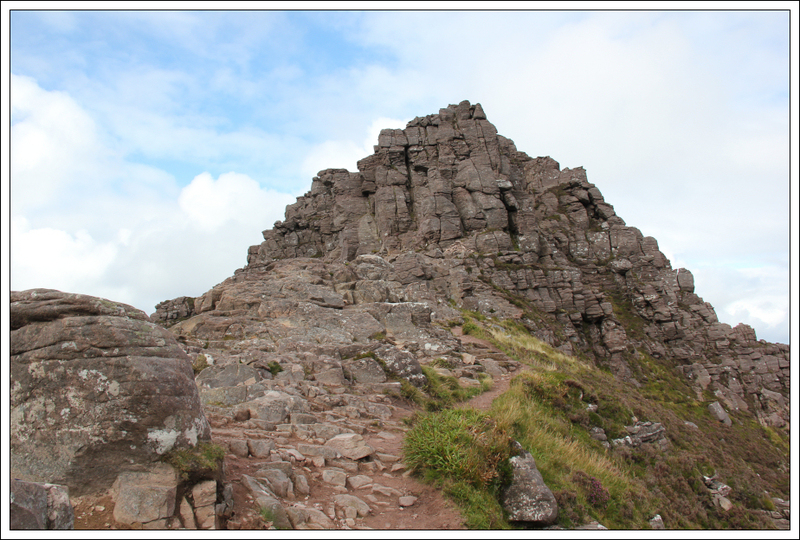 The rocky tower ahead blocking the route to the true summit is the trickiest section of the ridge; many only go as far as the false summit. 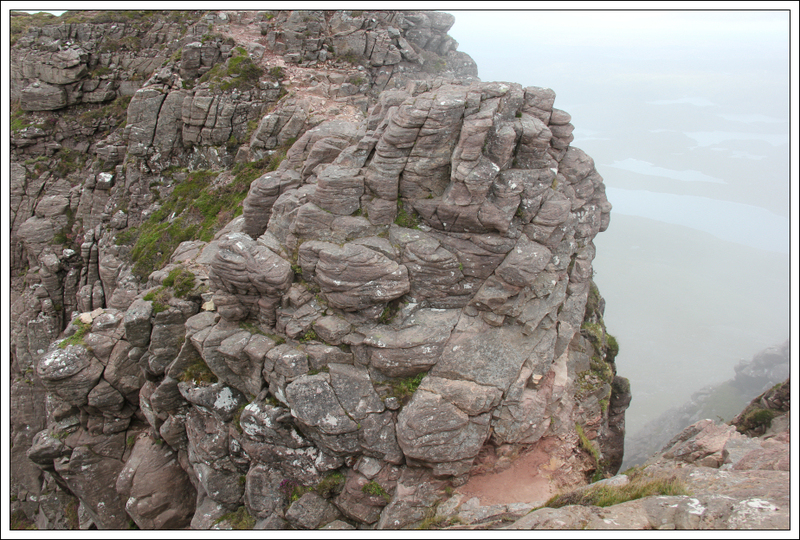 There are two options to proceed on to the true summit, (i) an ascent of the rocky tower or (ii) descend the gully to the South for a few metres and then ascend an awkward leaning slab. 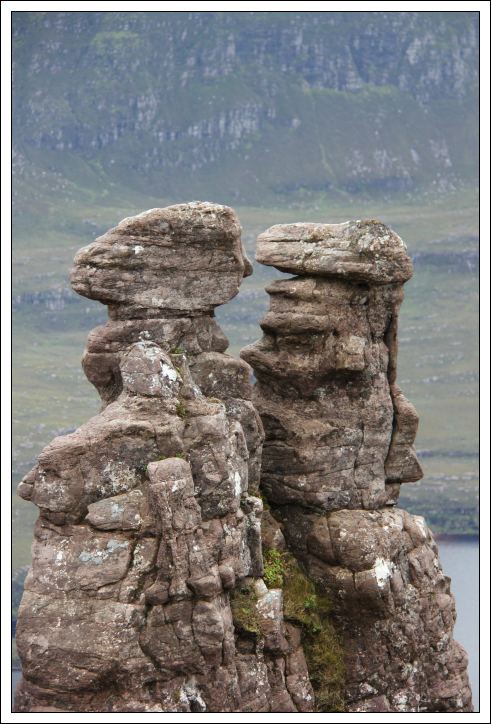 Technically the leaning slab is the easier option. At the false summit, I improvised a harness for John using a sling and put on my own harness. I then soloed the small tower. While the first two or three moves up the tower are hard scrambling / easy climbing, the upper section of the tower is much more straight-forward. On reaching the top of the tower, I set up anchors and then belayed John up to the top of the tower. John managed up the tower no problem but welcomed the security of the rope. From the top of the tower it was an easy walk to the true summit. I left the rope in place to lower John off on the way back. After lowering John off the short tower, I scrambled down the leaning slab. 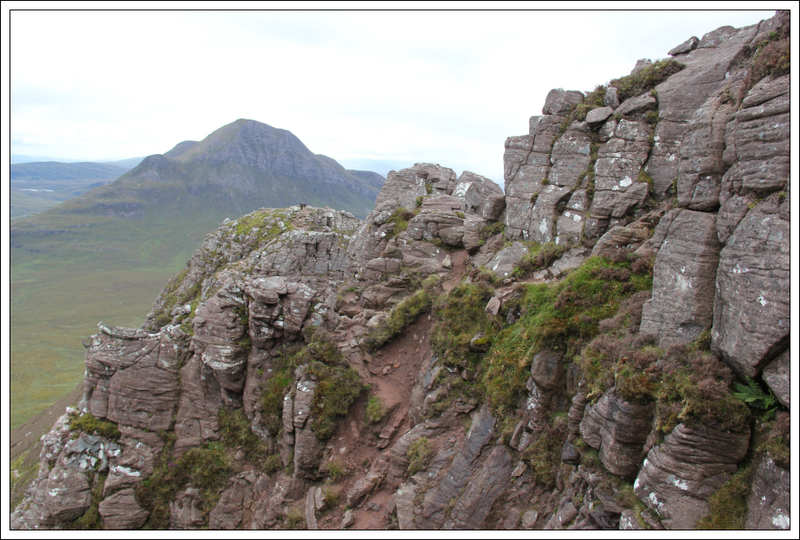 We then traversed back along the ridge. On reaching the top of the second gully we scrambled back down to the South of the ridge and then back along to the col before the East top. 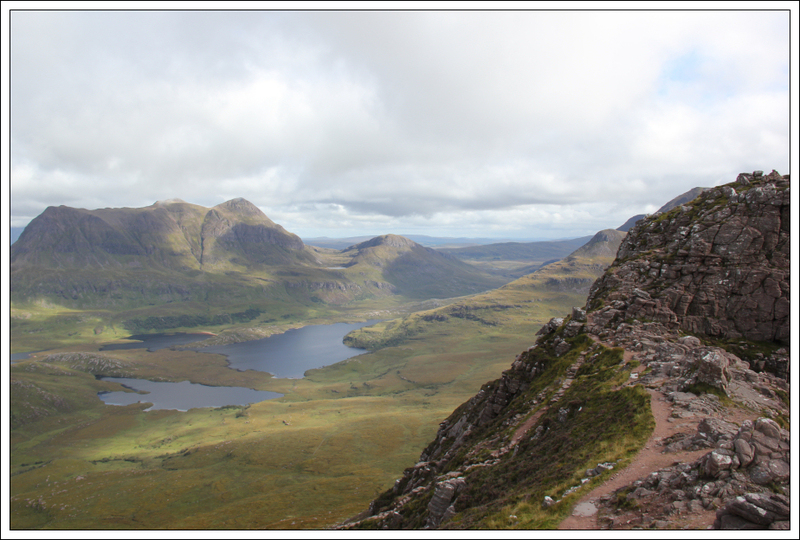 From the col, it was an easy stroll back to the car. 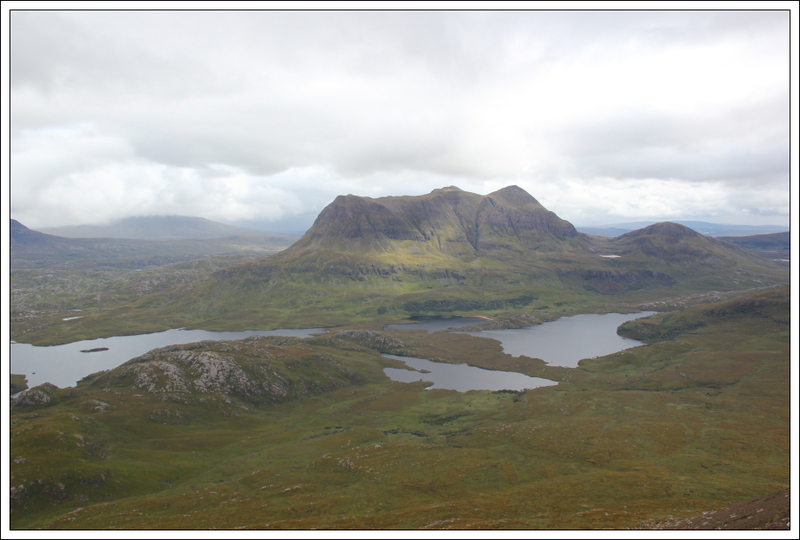 Stac Pollaidh is one of the best Grahams. I hope to ascend it many times more.